Brian K. Dalton, 49, entered into the gates of heaven on September 4, 2018. Born in Akron, he lived most of his life in Tallmadge. 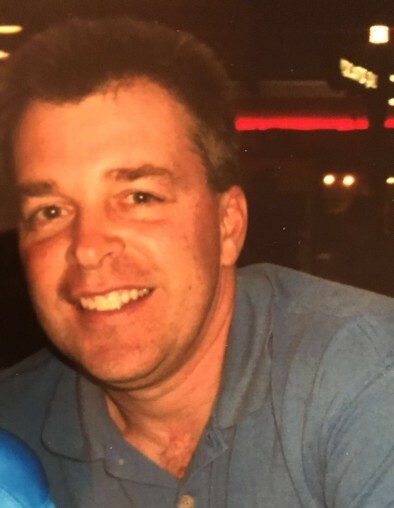 Brian had a passion for baseball and enjoyed many years of coaching little league in Tallmadge. Nothing gave him greater joy than to teach kids the love of the game. He enjoyed golfing with friends and his boys. He was a grill master and our family enjoyed his cook outs. Brian was a wood expert and his talent was shown in the home he lived and the many things he built. He loved all kinds of music. Brian had a servants heart and always put others first. His kind, thoughtful, loving ways will leave a gap in our lives forever. He was a Supervisor at Imagine Homes, Inc. and was a member of the Chapel of Prayer Baptist Church. He was preceded in death by his parents, Jack and Evelyn Dalton; father- in- law, Dennis Stump. Brian is survived by his wife, (whom he always took good care of through the years), Catherine; proudest father of sons, Derek Carson and Drew Caden, both of Tallmadge; brothers, Kenneth (Pat) Dalton of Florida, Bruce (Connie) Dalton of Ashland, Michael (Sybil) Dalton of Florida; mother- in- law, Darlene Stump of Fairlawn; special in- laws, Cassandra (Andrew) Clements; special niece, Alexandria Clements, Special Uncle Don and Aunt Donna Wolfe, and several nieces and nephews. Visitation will be 1:00 pm until 4:00 p.m. Sunday, September 9, 2018 at the Donovan Funeral Home 17 Southwest Ave (on the Historic Tallmadge Circle). Funeral service will be 11:00 a.m. Monday, September 10, 2018 at the Chapel of Prayer Baptist Church 1811 Brittain Rd, Akron with Pastor Sherman L. Bailey. Interment will be at Tallmadge Cemetery. Please join the family for lunch in the church fellowship hall after the interment. Memorial donations may be made to the Chapel of Prayer Baptist Church Building Fund, 1811 Brittain Rd., Akron, OH 44310.